Two Report Cards Better than One (or Not…)? Solution to Great Indiana Diploma Debacle? 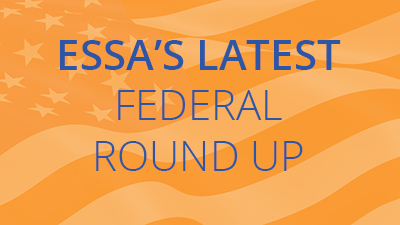 Could ESSA’s Flexibility Help Close Achievement Gap? The Indiana Department of Education announced today the publication of Indiana’s ESSA plan. The Indiana State Board of Education agreed to reformat the state’s A-F grading system under ESSA. The proposed system makes changes to chronic absenteeism, students learning English, test score improvement, college and career readiness, and the overall A-F grading formula. The Indiana Dept. of Education gathered feedback from educators at a public forum on the state’s draft ESSA plan. The meeting included small group discussions and presentations on what teachers thought should be recognized in the state’s final plan. The state announced several regional events for public to provide input across the state beginning in mid-September. Gov. Mike Pence sent a letter to the Dept. of Education requesting more information about federal dollars for a statewide pre-K program created under ESSA. He asks to be notified when the application is open. Read more here.